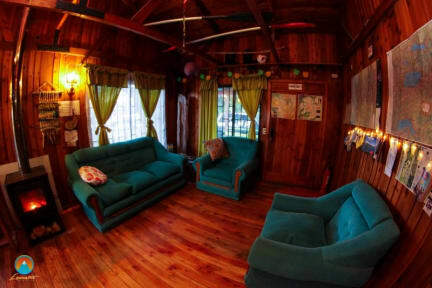 Lacustre Trip Hostel offers a comfortable place, with all the amenities you need, we have a central hall, where you can share with your friends, and you will have the opportunity to meet new people. 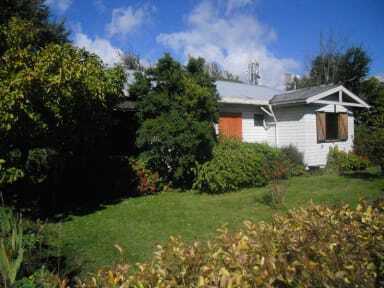 Here for your rest and relaxation, various recreational activities that you can perform in the city of Pucon, also here we have TV cable, music, movies and Internet access, creating the atmosphere are you seeking. the room was horribly dirty and smelly. the sheets had not been changed in a long time, lucky we had sleeping bags. The bathroom was almost impossible to use, no pressure in the shower at all and the shower hanger was broken. Moreover I guess nobody cleaned the bathroom for a long time as far as we could see as it was really dirty. I absolutely do not recomand the place as it was definitely not worth the price even if the staff was kind and people were friendly.